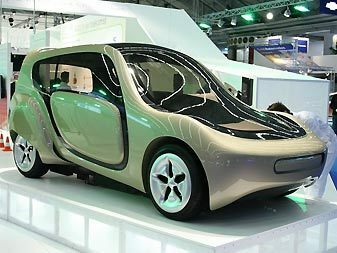 The world’s first open-source car was unveiled this week at the AutoRAI show in Amsterdam. The c,mm,n (or “common”) was developed by three Dutch technical universities: Delft, Eindhoven and Enschede. The current model features a zero emission hydrogen-powered motor and it seats four (little people by the looks of it). All of the vehicle’s technical data and blueprints are available freely on the Web and anyone is welcome contribute to the design as long as the ideas are openly available. So if you’re proficient in Dutch and automotive engineering mosey on over to the c,mm,n website and take a gander at the specs.